Payment Data Systems (Nasdaq: PYDS) is a full-stack payments platform and single source provider for ACH, debit and credit card processing services. PDS empowers developers and website designers with simple integration options, including APIs, plugins and hosted payment pages, making it easy to accept payments from customers. While we support a wide variety of businesses, our platform provides enhanced services and capabilities tailored to lenders, insurance companies, as well as non-profit and faith-based organizations. 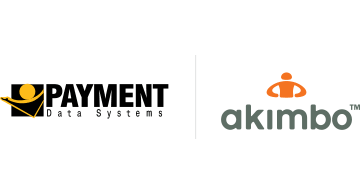 PDS also owns and operates the Akimbo platform, a prepaid card program manager and issuer processor. Akimbo has developed the first fully-digital gift and incentive card, enabling real-time delivery of cards by email and text message. Digital cards can be immediately provisioned with mobile wallets like Apple Pay or used for online purchases. Akimbo’s digital gift and incentive solution provides a unique way to disburse funds to customers and employees at a fraction of the cost of traditional open-loop gift and incentive cards.